A key goal of the African Women in Cinema Blog is to feature current research and critical discourse, through interviews, conference proceedings and analyses on relevant topics. 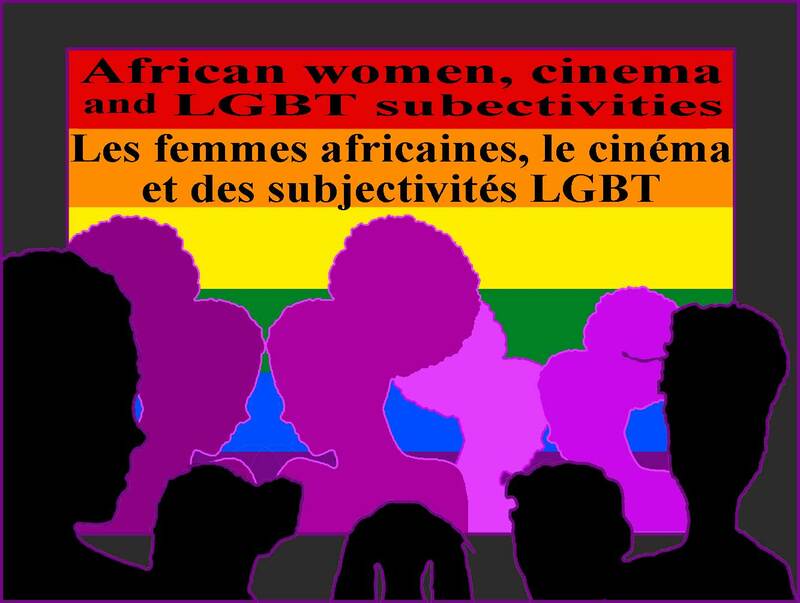 Following is a selection of articles regarding LGBT African women or by African women filmmakers on the subject of LGBT subjectivities that have been published on the Blog. L'un des principaux objectifs du blog des femmes africaines dans le cinéma (African Women in Cinema Blog) est de présenter les informations courantes à travers des interviews, des actes de conférences et des analyses sur des sujets pertinents. Vous trouverez ci-dessous une sélection d'articles sur les femmes africaines LGBT ou des oeuvres faites par des réalisatrices africaines sur le sujet des subjectivités LGBT qui ont été publiées sur le Blog. Claudine Ndimbira had this to say about the film project: With this project “Living like a shadow” I want to give the voice to LGBTQ community members in Rwanda to tell their stories, what they have been through, what they wish their lives could be but also to the society so that they say what is the reason why they think being gay is a problem to them. A film about love, between two high school girls, which caused its director [Wanuri Kahiu] to be threatened with imprisonment in Kenya. Rafiki, a remarkable drama, is one of three African films in competition at the Un Certain Regard. Rafiki is a love story about Kena and Ziki who live in a housing estate in Nairobi. The girls are unlikely friends and their fathers are rivaling politicians. When they fall in love and the community find out, the girls are forced to choose between love and safety. Rotten Fruit centers on the relationship between the LBGTQI community and the attitudes of the Black Church in the United States. The documentary explores lesbians who discriminate against other lesbians based on gender roles and heteronormative notions of femininity and masculinity. In love with a man in a world where the norm is homosexuality, sixteen-year-old Charlotte will have to be exorcised for her "deviant" behavior. An exorcism authorised by her two mothers. Amoureuse d’un homme dans un monde où la norme est l’homosexualité, Charlotte, 16 ans, va se faire exorciser pour son comportement "déviant". Un exorcisme approuvé par ses deux mères. Naomi has always felt that there is a distinct lack of film and television dramas highlighting first and second generation African female and, in particular, lesbian experience. "Homosexuality is not unafrican; what is unafrican is homophobia": Interview by Olivier Barlet with Wanuri Kahiu about her film "Jambula Tree"
“The film is about Abdou, the oldest son of a well-respected businessman, who, after a long stay abroad returns home. He has lived other experiences that brought about a psychological and sexual transformation. It is about a transvestite who returns to his social and cultural milieu, a milieu that is horrified by this practice. Abdou, le fils ainé d un homme d affaire très respecté revient chez lui après un long séjour à l étranger. Il a eu d autres expériences qui l ont transformées au plan psychologique et sexuel. c est donc un travesti qui revient dans son milieu social et culturel qui a horreur de telle pratique. ( ce film est un court metrage de 5mn qui cherche un producteur pour la grande production. Many thanks for this list, Beti. And a very happy and healthy and prosperous new year to you!